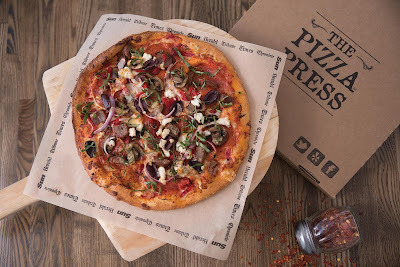 The Pizza Press, a fast-casual, build-your-own-pizza franchise which currently has locations throughout Orange County and Los Angeles, will soon expand southward, with immediate plans to open an outpost in Carlsbad this November with another spot planned for central San Diego for 2017. 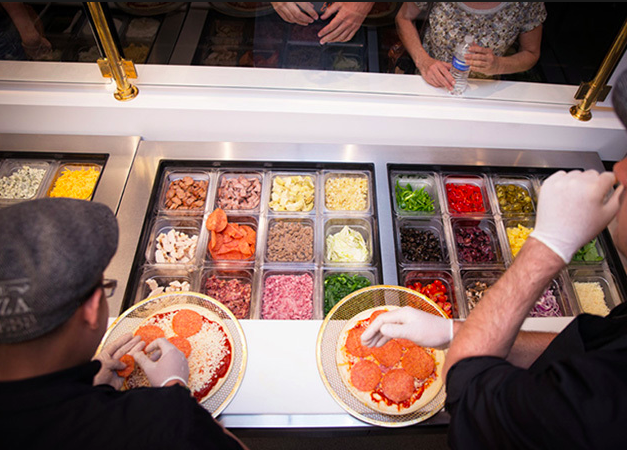 Founded in 2012, The Pizza Press is a rapidly expanding franchise that features a 1920s newspaper theme, and welcomes customers to “Publish Your Own Pizza” by choosing from an extensive list of toppings, sauces, cheeses, and other fixings. Other entree options include their signature pizza offerings such as “The Times,” “The Tribune” and “The Chronicle,” as well as a selection of salads. 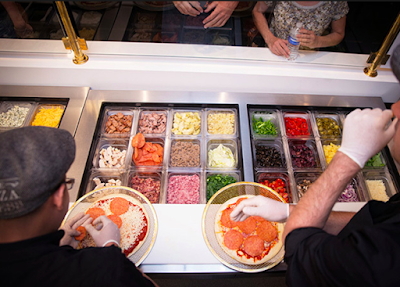 While custom pizza is the main attraction, customers can also enjoy handcrafted ice cream sandwiches, and drinks from restaurant’s large selection of craft beer from local and national breweries. The Pizza Press currently has 6 locations, with dozens more planned for the next 2 years. Of the locations currently open, each of them boast a 4.5 aggregated Yelp review or higher. The first location in San Diego County will open this fall at 2501 El Camino Real in the Shoppes of Carlsbad retail center with another planned for a yet-to-be-determined area of central San Diego for 2017. The upcoming locations will join The Pizza Press’s existing roster of six currently open-and-running restaurants - Anaheim, Orange, Fullerton, Pasadena, Costa Mesa, and West Hollywood. The Pizza Press team has plans to open in territories throughout Arizona, Nevada, Colorado, North Carolina and Florida, as well as internationally beginning in China. The first location outside of California will be in Austin, Texas later this year. For more information about The Pizza Press, visit ThePizzaPress.com.